In late April, you will begin receiving WEF SmartBrief. This daily e-newsletter is designed especially for water sector professionals. It’s a quick, two-minute read that will help keep you up-to-date with the latest news and trends, including features and news items from WEF Highlights. As we upgrade your subscription from WEF Highlights to WEF SmartBrief, you will gain access to carefully curated and condensed summaries of the day’s water-sector news, as well as a daily dose of updates on WEF products and services. 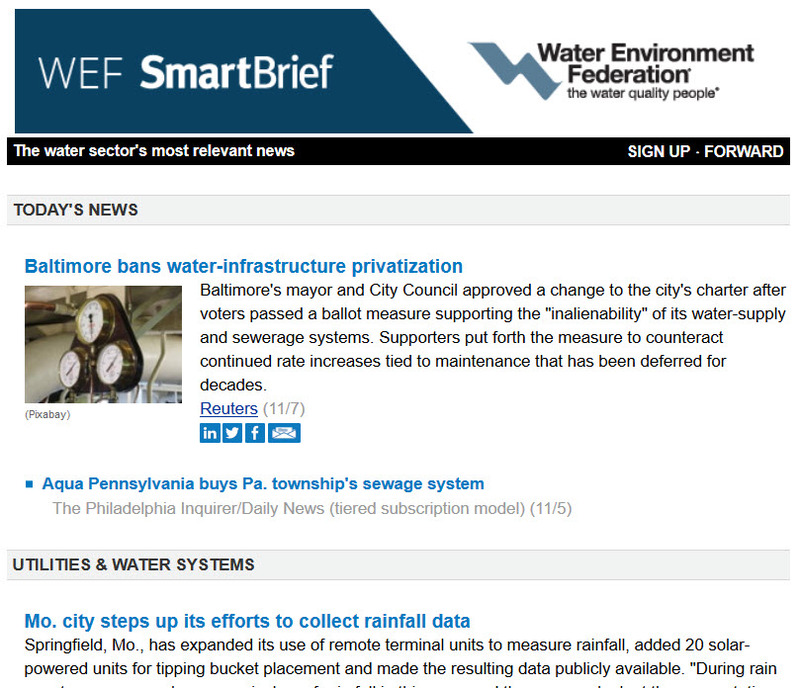 Please add wef@smartbrief.com to your safe senders list to ensure that you don’t miss an issue. The Hohokam Native American society flourished for almost 1500 years in what is today central Arizona. 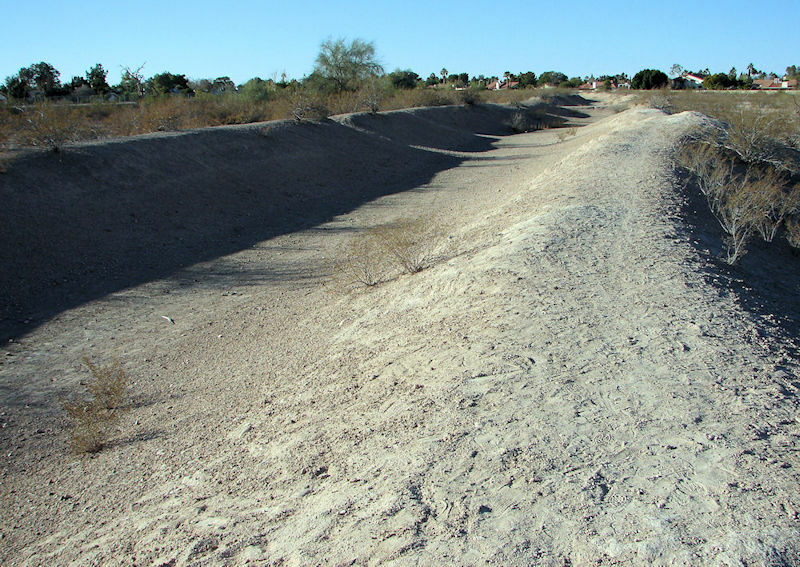 Part of that long, rich history can be attributed to a breakthrough water technology: canals. 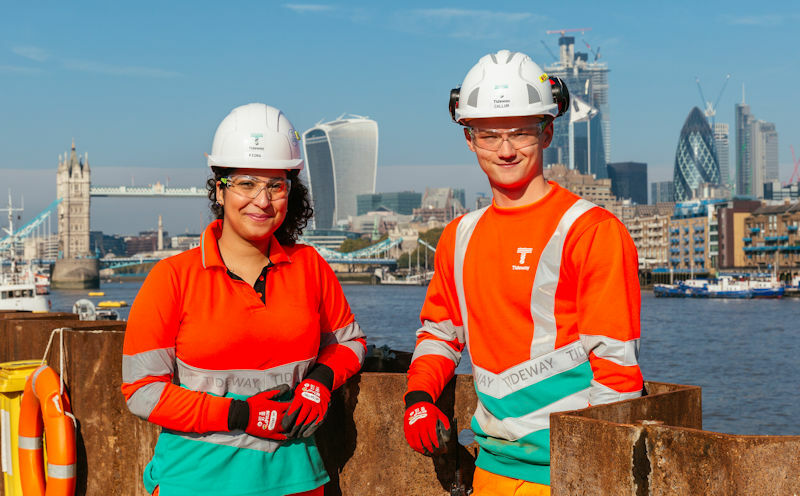 Tideway, an independent water company in London, launched a first-of-its-kind apprenticeship program to clean the River Thames and address a pending worker shortage in one fell swoop. 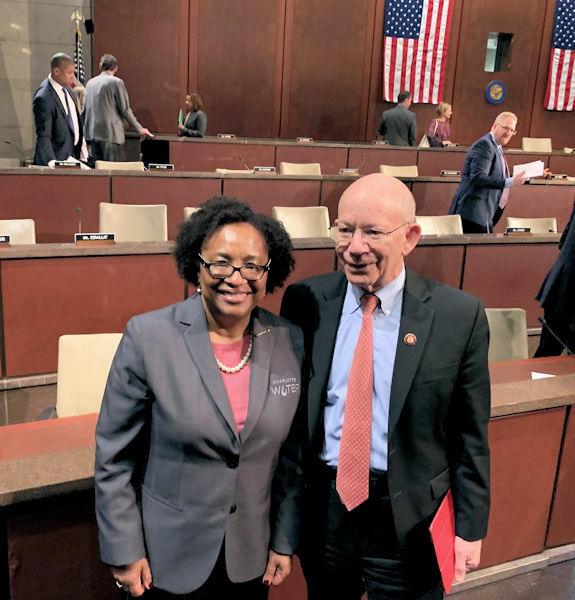 On Feb. 7, Water Environment Federation (Alexandria, Va.) member Angela Lee sat before members of the U.S. Congress to discuss the water sector’s need for infrastructure funding programs. 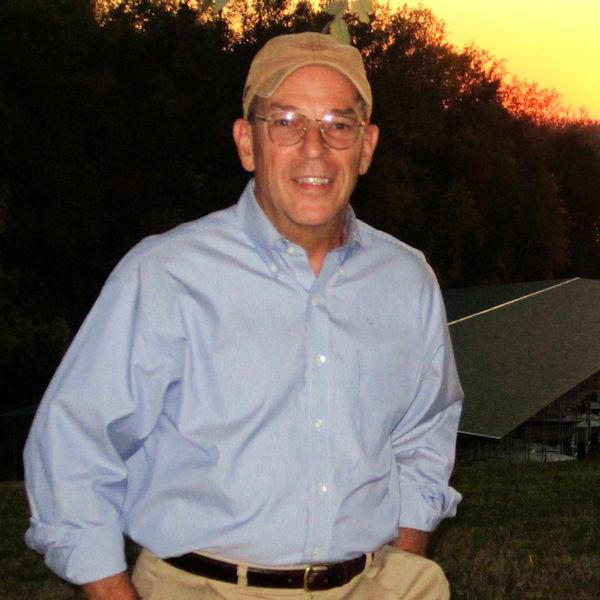 Robert Jack Freeman Jr., member of the Water Environment Federation (Alexandria, Va.) and the Georgia Association of Water Professionals since 2006, died January 21 at the age of 71.